without it this mod will not function! Updated April 17, 2019 --- Version 4 of the mod has been updated to support the latest game patch 1.51.75 (April 16, 2019). As always, be sure to remove the old version when you update the mod! 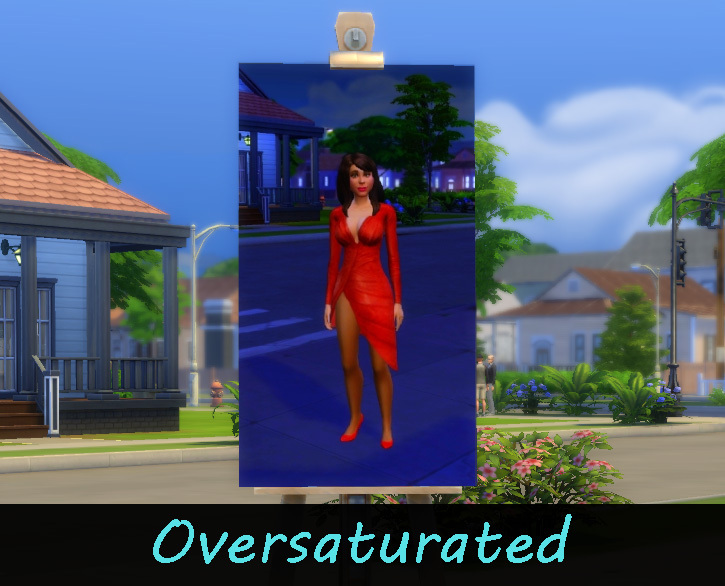 Ok, I hate the blobby paintings in the game produced by the Paint By Reference action at an easel and I know I'm not the only one that feels that way. I played around with a way to make the painting by reference not use that effect years ago to no avail. I turned my thoughts to the problem again today and realized that when paint by reference stores its images in the save game (in the clientDB.package file) it also stores a copy of the original image. A bit more playing around revealed the blobby painting is just a filter effect, similar to the ones used on the photography skill in the game. So I figured, why not make the Set Filter command available to paintings, maybe that would clear that effect and to my surprise it really was that easy. 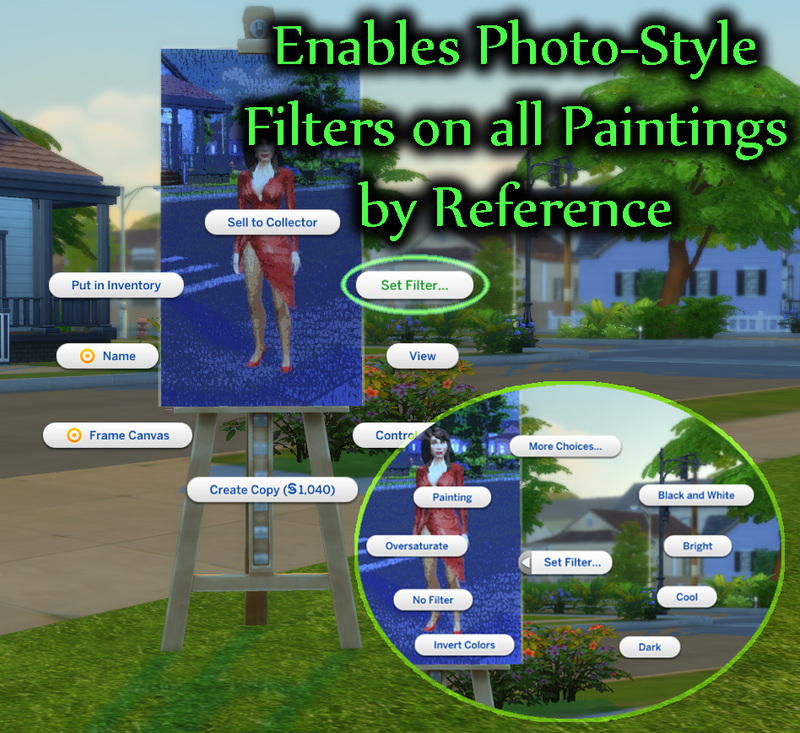 This simple little mod adds that Set Filter menu to all sim-created paintings. 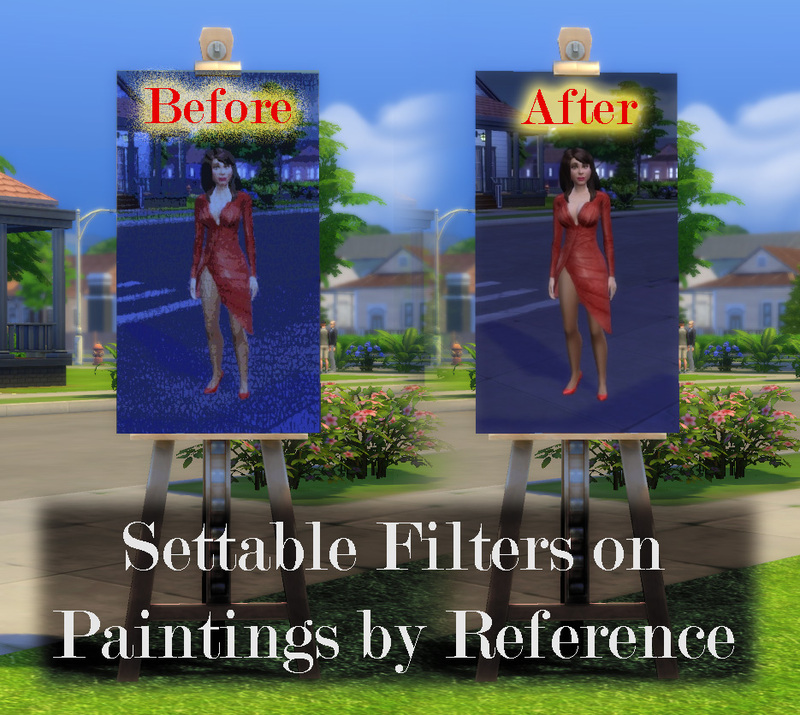 It won't do anything on a regular crafted painting, but when used on a paint by reference one it allows you to set any of the available filters quickly and easily. It will even work on a painting by reference that was created before installing the mod and the change will persist even if the mod is removed. I also added a new interaction to allow setting the filter back to the "Painting" style should you end up deciding you liked that better. This is a simple packaged XML mod, so just unzip the file into your mods folder. Starting with version 4 of this mod, it now requires the XML Injector to be installed. Note that removing the mod will not restore the blobby painting effect, if you decide you don't want that you will need to set the painting filter back on prior to removal. 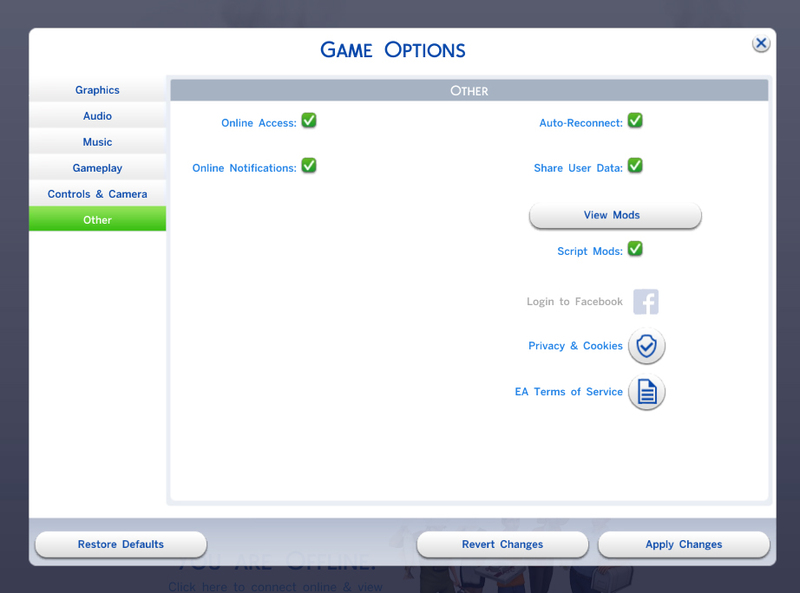 This mod was written and tested for The Sims 4 version 1.51.75 (April 16, 2019). No EA game XML is overridden by this mod, all changes are done by the XML Injector and will not conflict with other mods.